While backing up an SD card from last year I stumbled across this photo taken in July, the middle of winter in Australia. 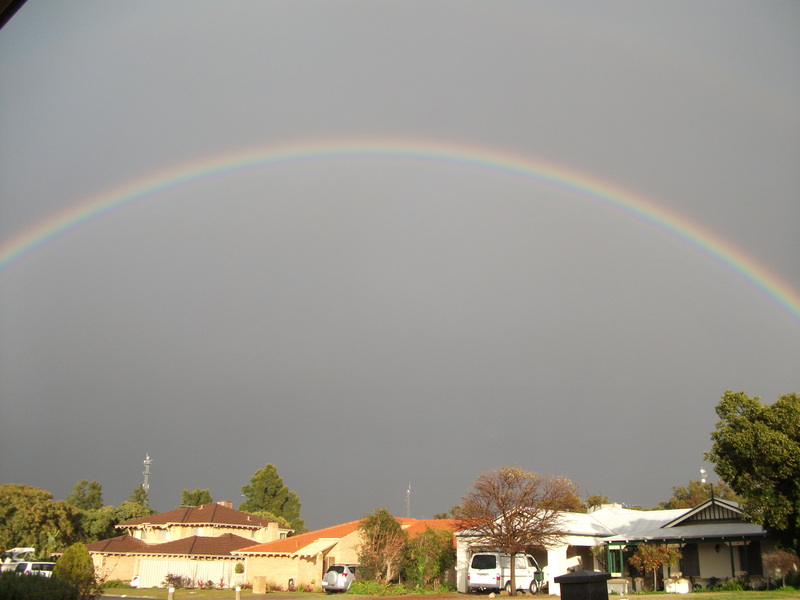 It was actually a double rainbow but this is the only one I had of the whole rainbow. 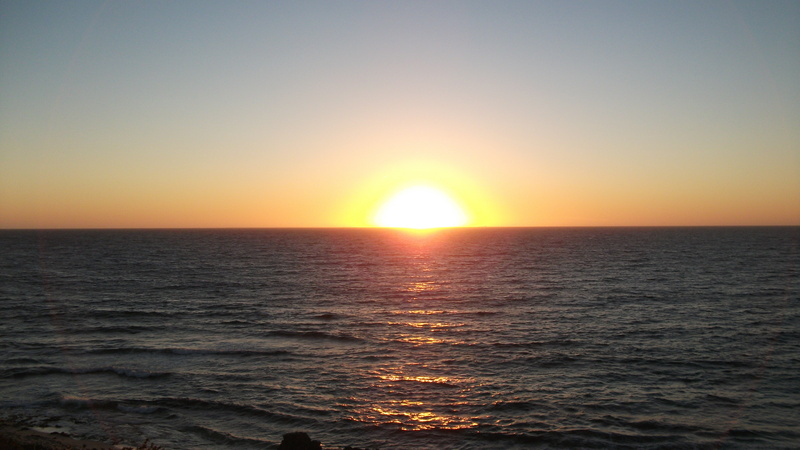 I also came across this photo taken as the sun set over the Indian Ocean on West Coast Drive, around North Beach. I’ve often tried to capture the sun setting on my iPhone while a passenger, usually with little success. This time I actually pulled over and took the time to take some photos on my camera and enjoy the view. It was a moment for quiet contemplation; my family had left for Tasmania for a week, my dog had just been dropped at my sister’s and I was , having only just recovered from bronchitis bordering on pneumonia, getting ready to head to Sydney to see Oprah. My photographic skills are average, my eye for a photo and composition is ok and my camera is probably below average but I never leave home without it. Previous New Year, what else is new?